Breathtaking views envelope this 9-hole garden golf course. 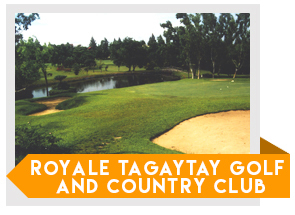 Royale Tagaytay Golf & Country Club is an integral part the sports and leisure complex within Tagaytay City. The city prides itself in its cool, mountain air, and family oriented activities. Experience the beauty of this amazing city without spending your whole day on the course. The clubhouse offers a driving range, pitching and putting greens. There is also a pro sports shop, restaurants, bar, coffee shop, showers and lockers available. Experience this exclusive, private, members-only golf club by booking through GolfPackages.PH for your guaranteed tee time reservation. – A beautiful nine-hole golf course with relatively flat terrain and is ideal for practice. 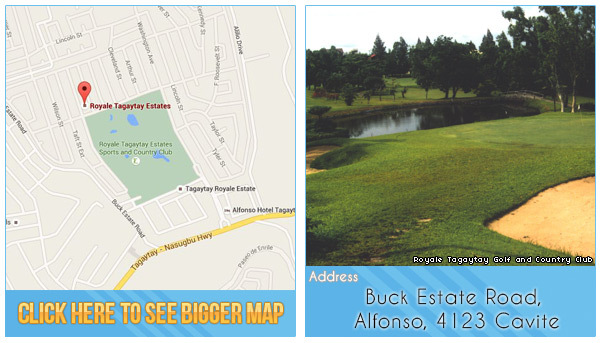 – Described as a garden golf course with the beautiful flora that surrounds it. – Cool climate and atmosphere year round. 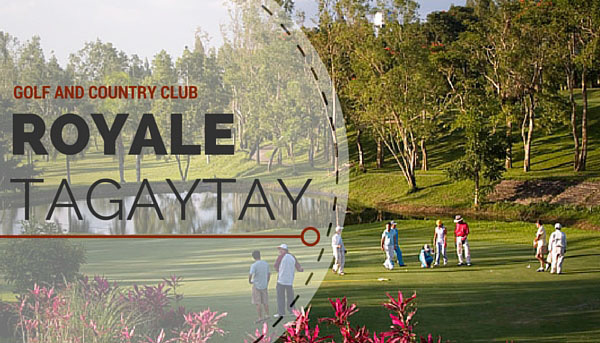 Tip for Tourists: You can still play at Royale Tagaytay Country Club by booking directly with GolfPackages. Fill out the form to your right and get your free quote today.